My name is Meaghan Zaremba. At the age of 5, I was in a devastating car accident. It crushed my skull, jaw and face. I was not expected to survive. I would be a vegetable all my life, never speaking, eating, walking or taking care of myself. My mother was asked to call a priest. Today I am 32 years old. I walk , talk, feed myself, drive a car, and I can read and write. Music saved my life. It re-wired my brain, and now I feel and think differently. Just when everyone gave up on me, I showed them what I can do with the power of music. It has been 16 years since my first lesson. Today, I sing, play the piano, have studied theory and flute. I perform at every year end recital to a standing ovation. 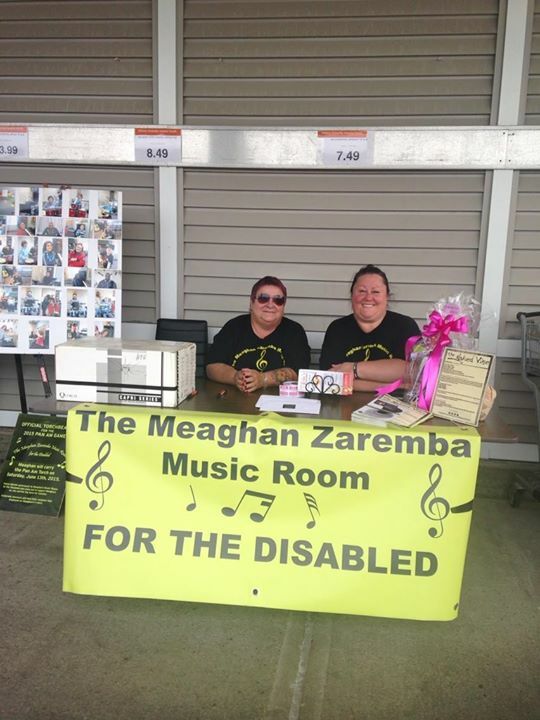 I believe so strongly that music is magical therapy, that I started THE MEAGHAN ZAREMBA MUSIC ROOM. 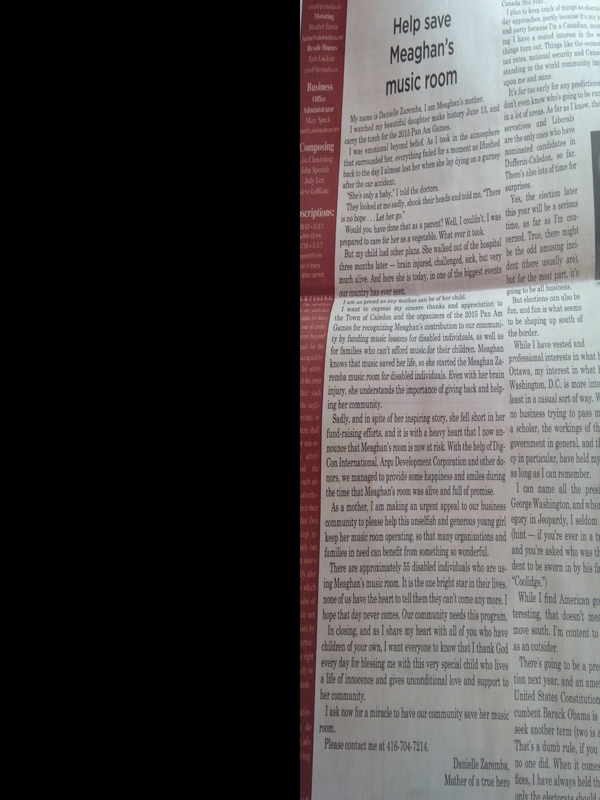 I want to fund people with any physical or mental disabilities or challenges. 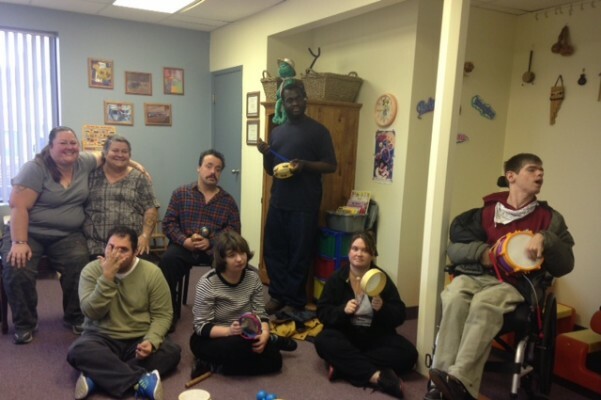 Last week an amazing group of 6 individuals from SNAPSO (Special Needs Adult Program Services Organization) came to my music room for a trial session. We were all moved to tears...check out the photo....they played instruments, danced, laughed out loud and filled the room with happiness and smiles. This is what my room is about, and this is why all of us who are so blessed, including myself, should do everything in our power to make this a reality. My music school has designated NOVEMBER IS MEAGHAN ZAREMBA MONTH. During the next few weeks, PLEASE help me raise money for my music room so I can make a difference in the lives of people just like me...who never had a chance or an opportunity to benefit from music. I live a very simple, uneventful life. I never even had a dream...until now. THIS is my dream!! Please help me make it a reality. Donate today and put smiles on the faces of those less fortunate than ourselves. This holiday season, Meaghan’s Room needs your help. It is at risk. If EVERYONE that reads this, donates just $20, this special Music Room for SPECIAL PEOPLE will survive. Come on everyone. Be one of 5,000 people to donate $20 and give these amazing individuals a Christmas miracle. This is Dawn. She has Down syndrome. 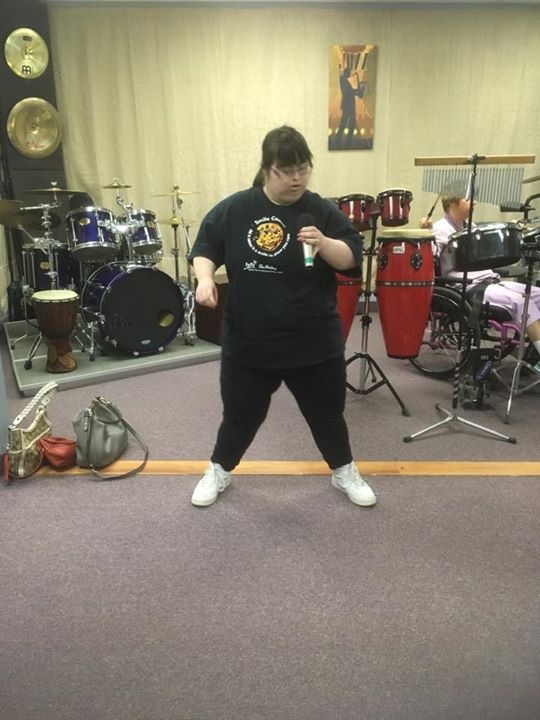 She rocks out in the music room every week! Dawn and Tom are waiting to be sponsored for their music lessons. Their disabilities will not stop them. As they await for news every day, please consider donating to make their Christmas wish come true. We need $2500 before the end of New Year. Their smile and spirit will overwhelm you. 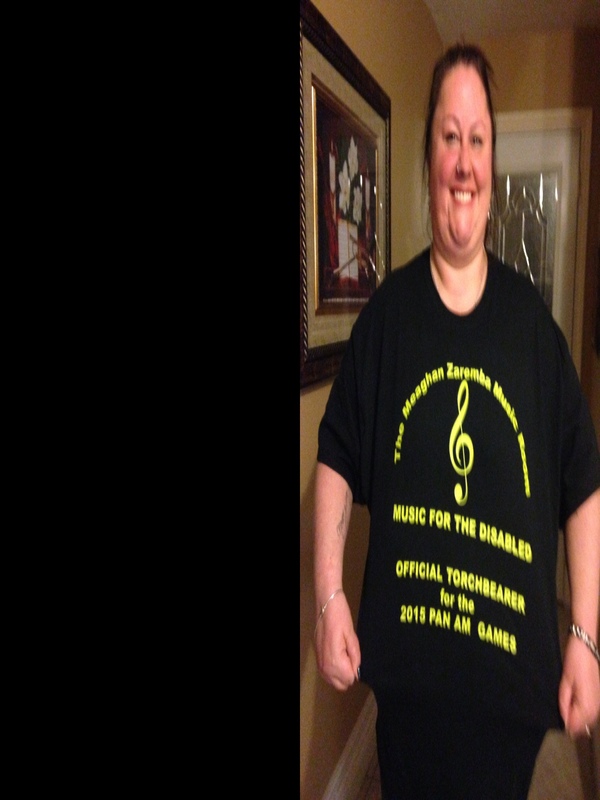 Meaghan your musical room sounds amazing and I also believe that music is magical therapy. You have a wonderful heart and soul and people are blessed to have someone like you create such a wonderful place for them. I hope that many people donate to keep your dream alive and help others benefit from music like you did. Your hard work and perseverance has made so many dreams of others come true!